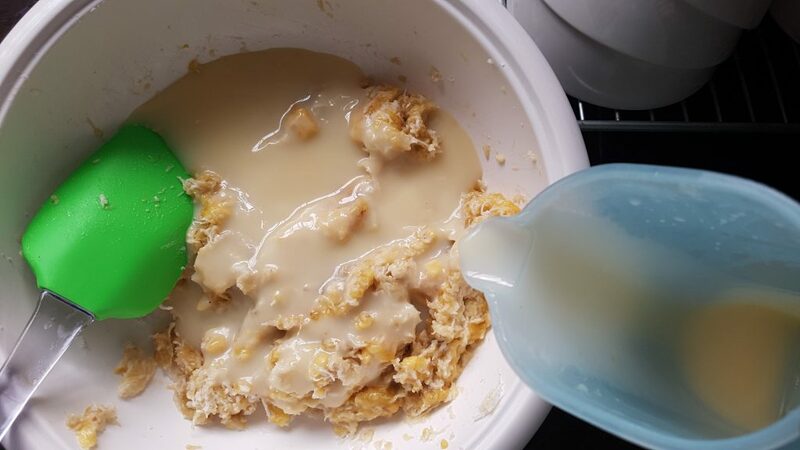 Kak’mbang and I were just chilling out one day talking about food (because why not), and she mentioned this yummy looking recipe she found on a random can of F&N sweetened condensed creamer. Only the ingredients list was on the can, but spring rolls stuffed with bananas and grated coconut and drizzled with sweetened creamer? Heck yeah! The recipe was a bit of a treasure hunt to find, buried somewhere on F&N’s website, and last I checked the website no longer works, so I’m glad I have this written down here. 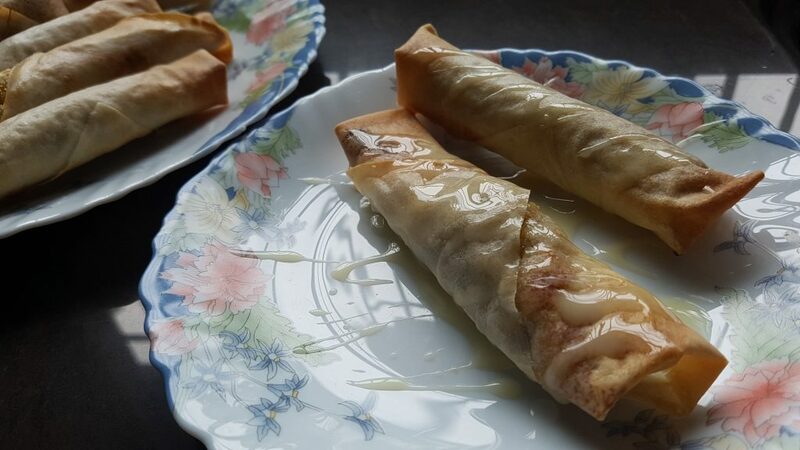 The original recipe was for regular fried spring rolls, but since Mummy is trying to watch her fat intake (as should I -_-), my version is air fried, and the results were still so so amazing. 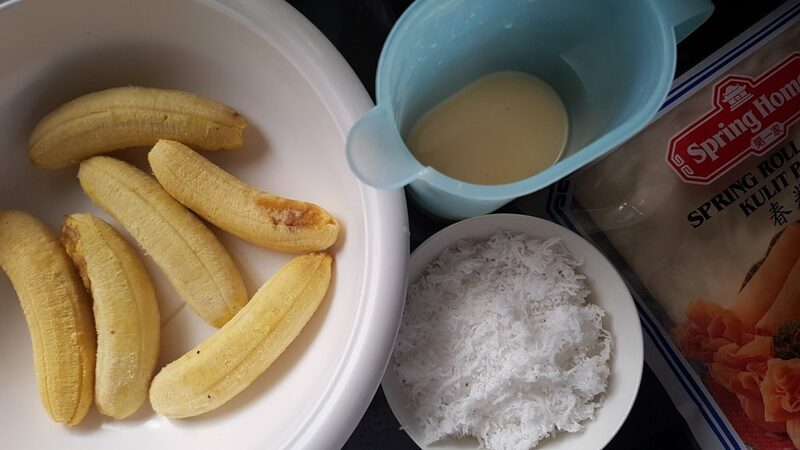 I highly recommend using pisang mas because of their wonderful sweetness and fragrant banana flavor, but just use whatever type you have on hand. 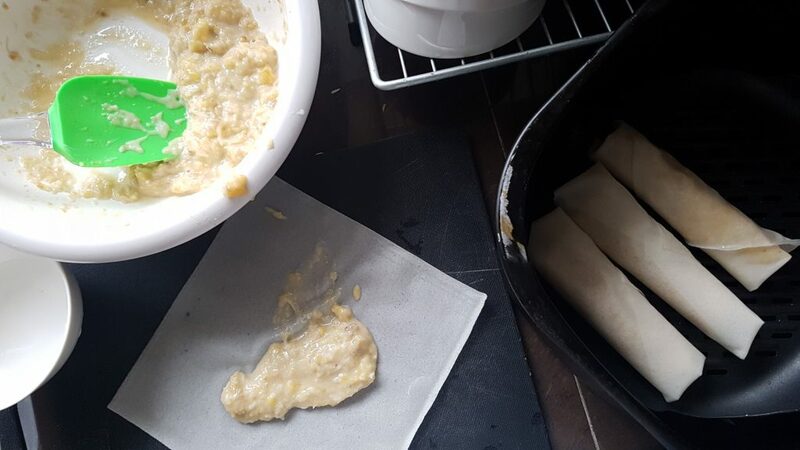 Because the filling is rather wet, I separated 12 spring roll sheets upfront to speed up the wrapping process, and while working on one sheet, I covered the rest with a damp towel to prevent them from drying out. I also rolled the spring rolls a bit tighter to get more layers and prevent them from bursting. Guaranteed to be a hit among kids and adults alike. Try it out! 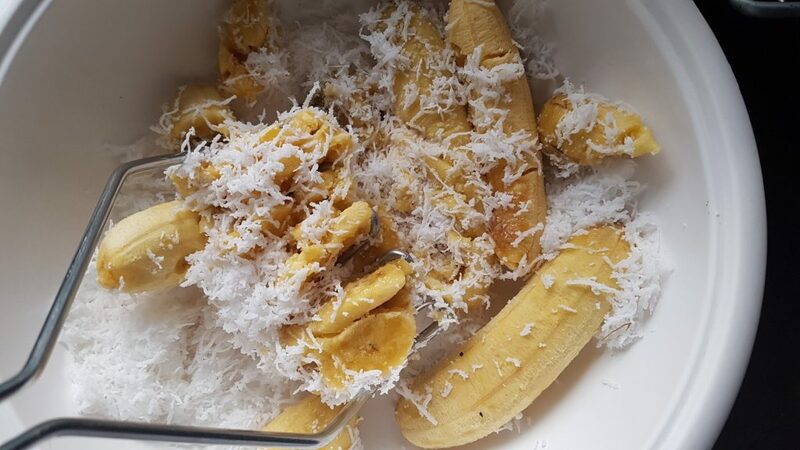 In a bowl, mash the ripe bananas very briefly. 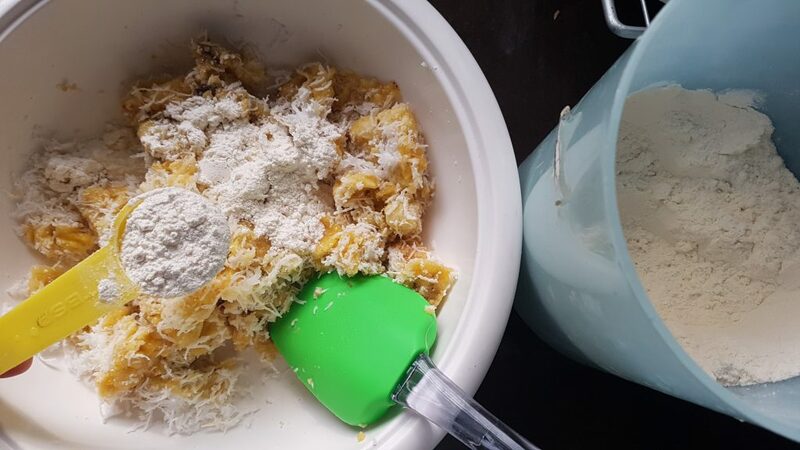 Add the grated coconut and flour, and mix well. Add the sweetened creamer and stir to combine. Working with one sheet at a time, wrap the filling like a spring roll. Brush some water on the edge to seal it. 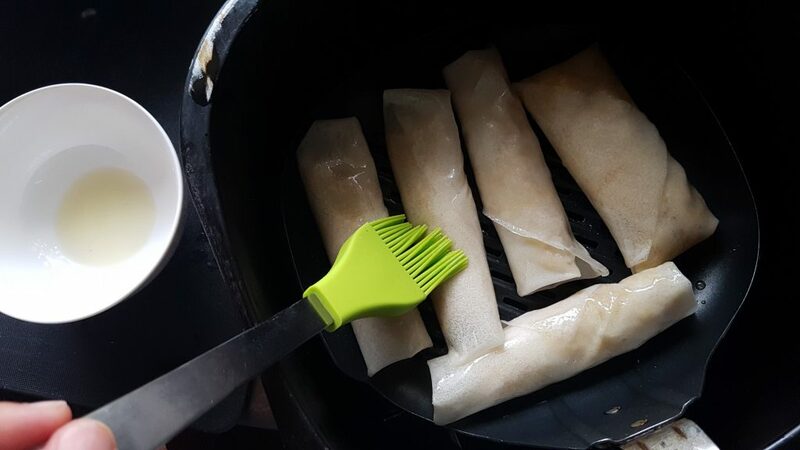 Arrange the spring rolls in the air fryer basket, using the grill plan accessory if available, being careful not to overcrowd. Brush evenly with cooking oil. Air fry at 200 degrees for 10 minutes. Drizzle more sweetened creamer over the spring rolls. Serve immediately, with extra sweetened creamer if you like.